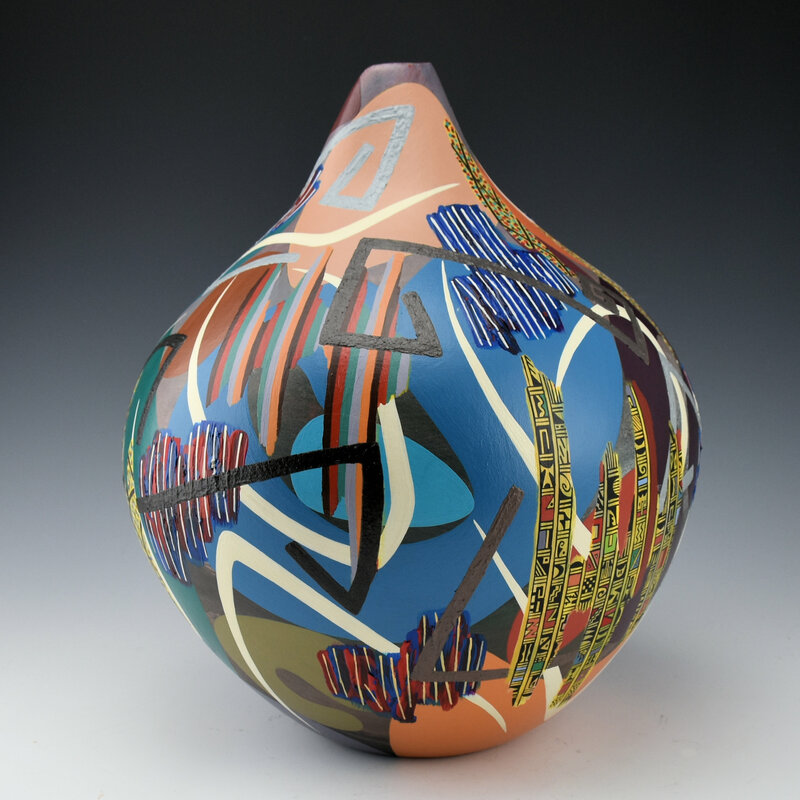 This large jar by Les Namingha is a striking combination of Hopi designs along with contemporary textured designs. The shape of the jar has a round shoulder and an asymmetrical neck and opening. 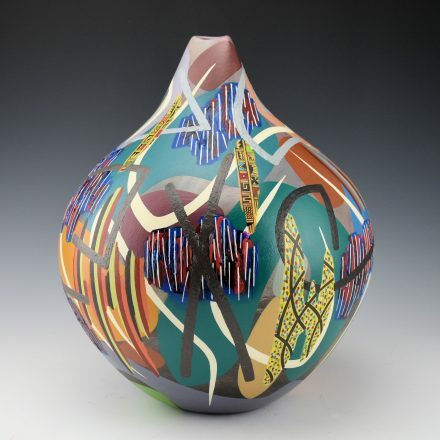 The jar is painted with a variety of designs. There are stripes of Hopi-Tewa designs. They are painted in a manner as if they are being painted over by the other designs. There are larger white bird swirls and multi-color bands of rain patterns. The pointilism sections are areas which are inspired by Zuni katsina figures and which Les has often painted on his pottery. 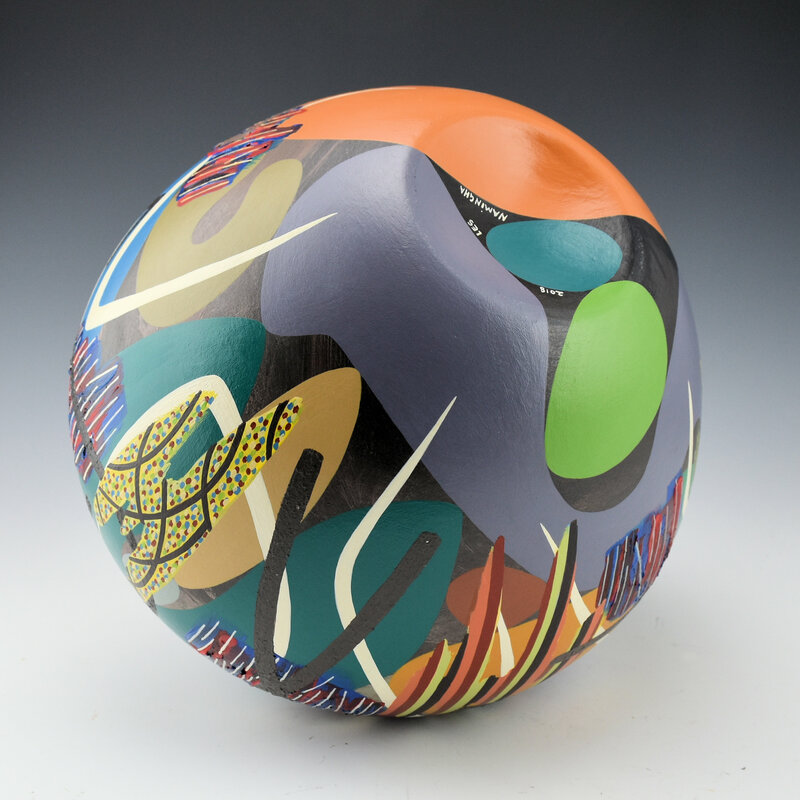 The fascinating part of this jar is the sections which are painted with a more textural feel. These areas are the deep blue and red with the white rain patterns. As well, the various large gray geometric forms also have a textural feel. 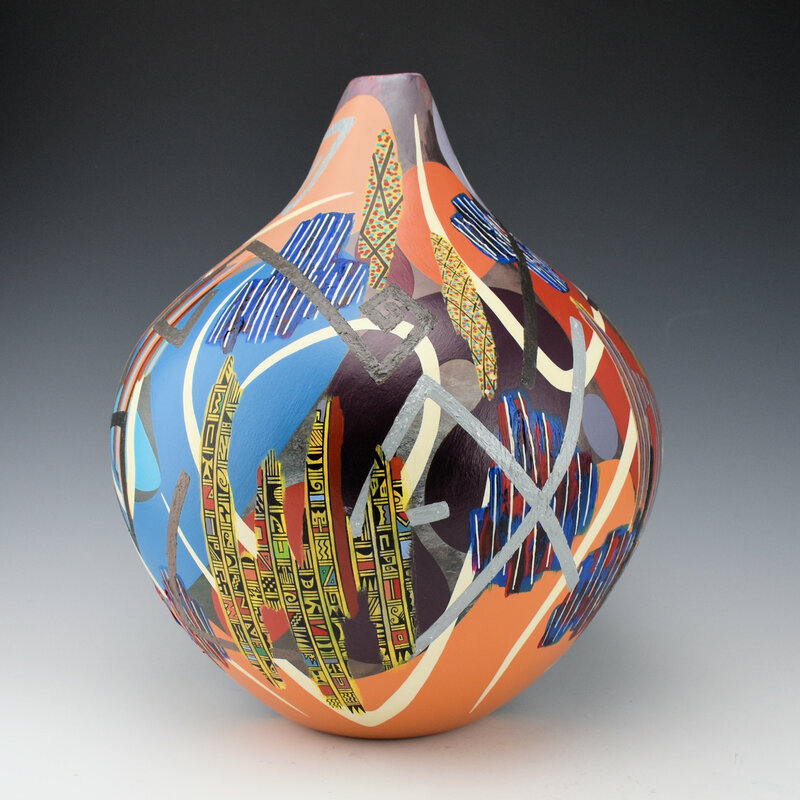 For Les’s pottery, adding a textural dimension is not something new but it intensifies the layering aspect of the work. 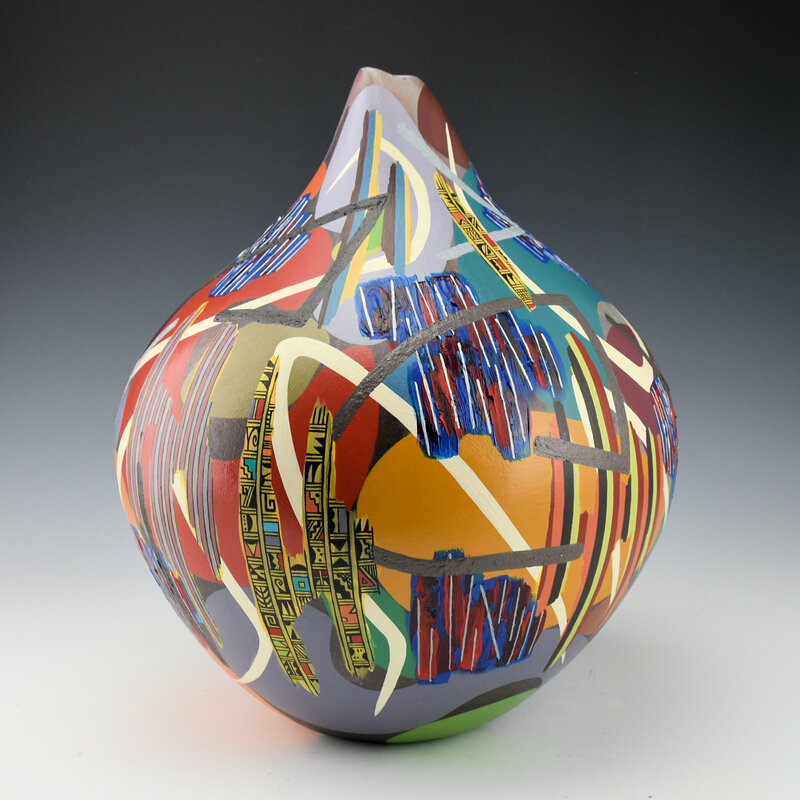 There is something distinctive about this jar and the layers over older style of designs, as if Les is moving on to another new direction in his art. It is a simple, provocative and powerful jar. The jar is signed on the bottom.